Gut/Skin/Cape/Sharpen. 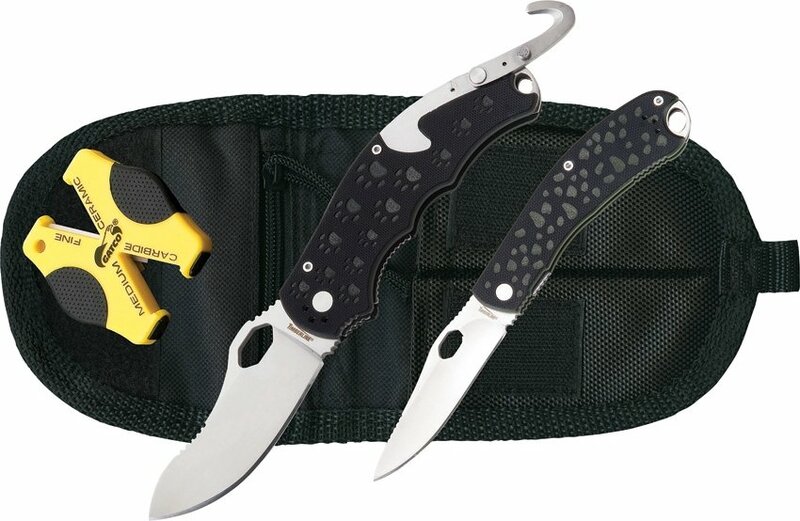 Includes: TM6510 Chui Folding Caper; TM6520 Simba GHS - Folding Guthook Skinner; GTC6402 Gatco Double Duty Carbide/Ceramic Sharpener. 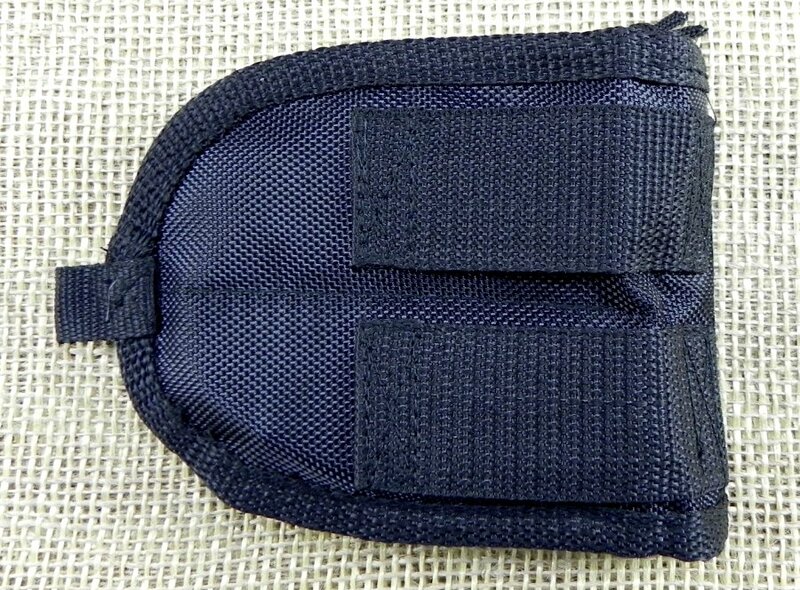 Black nylon double pouch sheath. Tim Wegner design. Hang packaged. 4" closed linerlock. 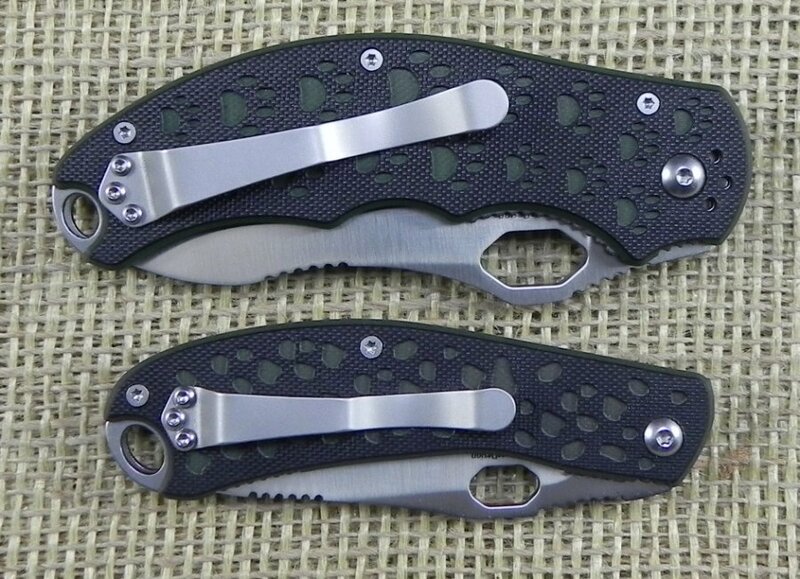 3" D2 tool steel blade with thumb slot. 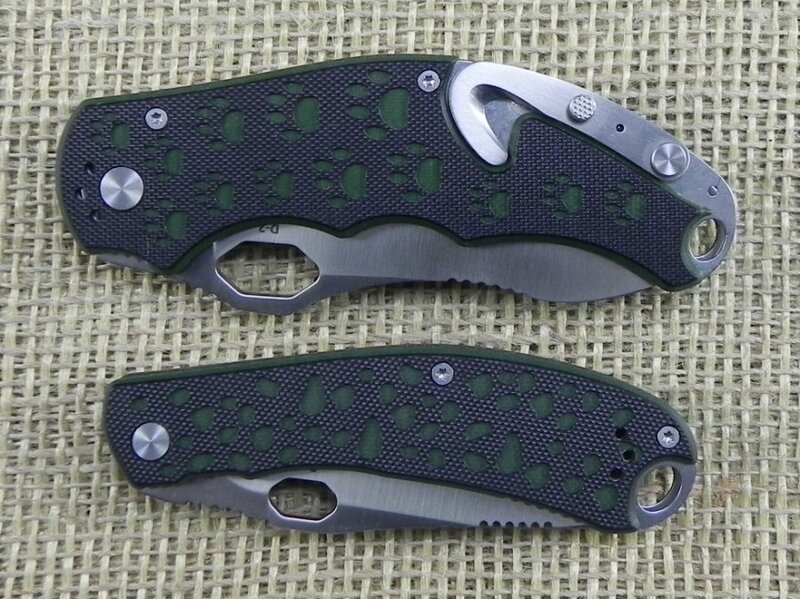 Textured black G10 handles with green spotted pattern. 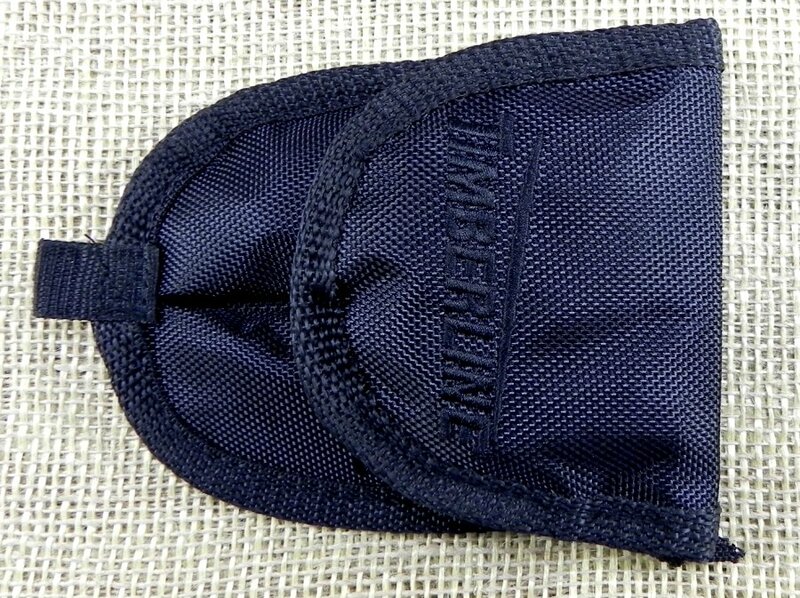 Reversible stainless pocket clip. Designed by Tim Wegner. Hang packaged.